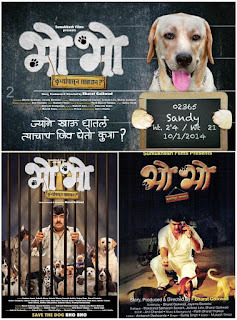 "Bho Bho (भो भो)" is an upcoming Marathi Film whose title itself has created lot of buzz around social media and adding to that the film has been praised in many film festivals and above all "Prashant Damle as Bhonde" who is playing lead in film is generating lot of curiosity of the film among his fan and movie goers. 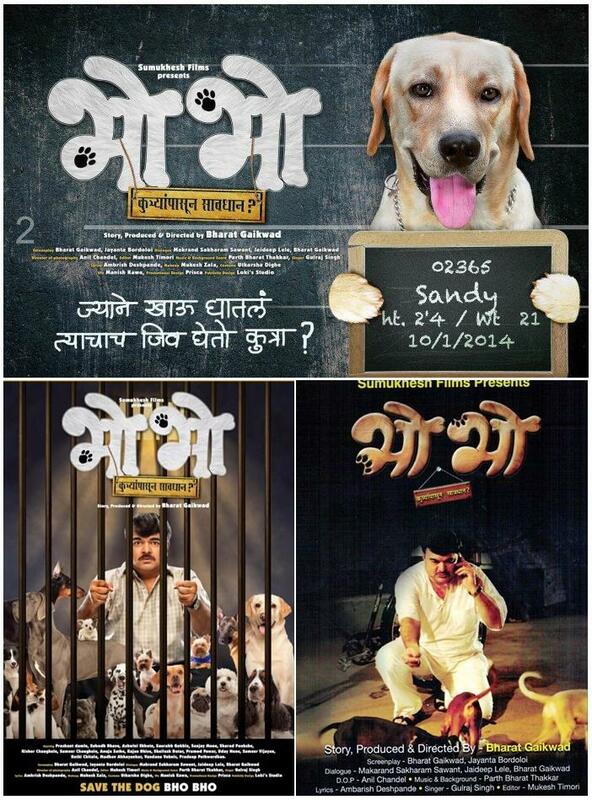 "Bho Bho" the film story is written, produce and directed by "Bharat Gaikwad" under banner of "Sumukhesh Films". Bharat Gaikwad is not new in film industry he has previously directed movie "Dhava Dhav" and popular marathi TV serial 'Lakshya'. Bho Bho "The movie plot is a suspense thriller about a woman who stays in Mumbai and dies because of her dog. This causes the police to start an investigation process to find out about the lady's mysterious death. How Prashant's accidental visit to the her house during the investigation period changes the course of the storyline is what people will have to wait and watch." Bho Bho the film star 'Prashant Damle' in lead role alongwith Subodh Bhave, Sharad Ponkshe, Ashwini Ekbote, Saurabh Gokhle, Sanjay Mone, Kishor Chaughule, Anuja Sathe, Sameer Chaugule, Rajan Bhise, Shailesh Datar, Pramod Pawar, Uday Nene, Sameer Vijayan, Ketki Chitale, Madhav Abhayankar, Vandana Vaknis, Pradeep Pathwardhan and Anuja Sathe. The film screenplay is wriiten by Bharat Gaikwad and Jayanta Bordoloi, while dialogues are written by Makrand Sakharam Sawant, Jaideep Lele and Bharat Gaikwad, cinematography by Anil Chandel, Mukesh Timori as editor, Make up by Mukesh Zala. The music and background score of the film has been done by Parth Bharat Thakkar with lyrics by Ambarish Deshpande. The film will releasing on 22nd April 2016.